Melbourne is one of the biggest cities in Australia which is also the capital of the sate of Victoria. This vibrant and gorgeous city located in the south eastern corner of the country is well known around the world. The residents of Melbourne also known as the Melbournians are extremely passionate about sports, fashion and their festivals. The city is administered by the municipality of the city. Some of the neighbouring councils of this city are Moreland, Pot Phillip, Hobsons bay, Moonee valley and Yarra. More and more people today are choosing Melbourne city as their home and it was even selected as the most livable city in the world. This population boom is also because of the economic prosperity of the city. The constantly changing skyline is the proof of the growth city’s economic and population growth. Melbourne which began to develop in the 19th century was meticulously planned by its founders. Initially Melbourne was town; it got the status of a city on 25th of June in 1847. The climate of Melbourne is very unpredictable. It is commonly said that the city can experience four seasons in a single day. The city has temperate type of climate with relatively hot summers and cool winters. The weather during the autumn and spring are moderate. The visitors to the city are recommended to keep an umbrella with them as the city is infamous for sudden rains. The average precipitation in the year is about 646 millimeter and the temperature ranges from 10 degree Celsius to 20 degree Celsius approximately. The city of Melbourne is governed by the Melbourne City council and the head of this council is known as Lord Mayor of Melbourne. The Victorian State Government is also partly responsible for the administration of the city. 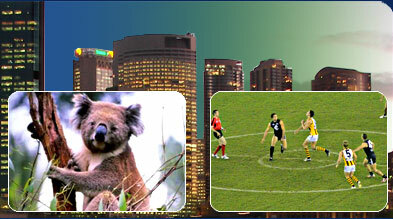 Tourism is very popular in Melbourne and tourists from all around the city visit this city each year. Sports are integrally related to the tourism industry in this city. The main places of attractions in Melbourne are the Melbourne Observation Desk which gives a magnificent view of the whole city, Melbourne Museum and the Melbourne Park. The Carlton gardens and the Royal Exhibition Building were declared a world heritage site in 2004. The Victorian Art Centre and the National Gallery of Victoria are perfect places where the tourists with an artistic bend of mind can have a great time. Some other points of attractions are Crown casino and Docklands. The tourists can also visit places like Philip Island, Surf coast, French Island and Yarra valley which are very near Melbourne. There are a number of restaurants in Melbourne which are mostly located in Chinatown, Brunswick Street, Lygon Street and Chapel Street. There are also a number of cafes, discos and nightclubs which contribute to the vibrant nightlife of this city. As Melbourne is a major city of Australia it has its very own airport and there are flights from all parts of world to this city.